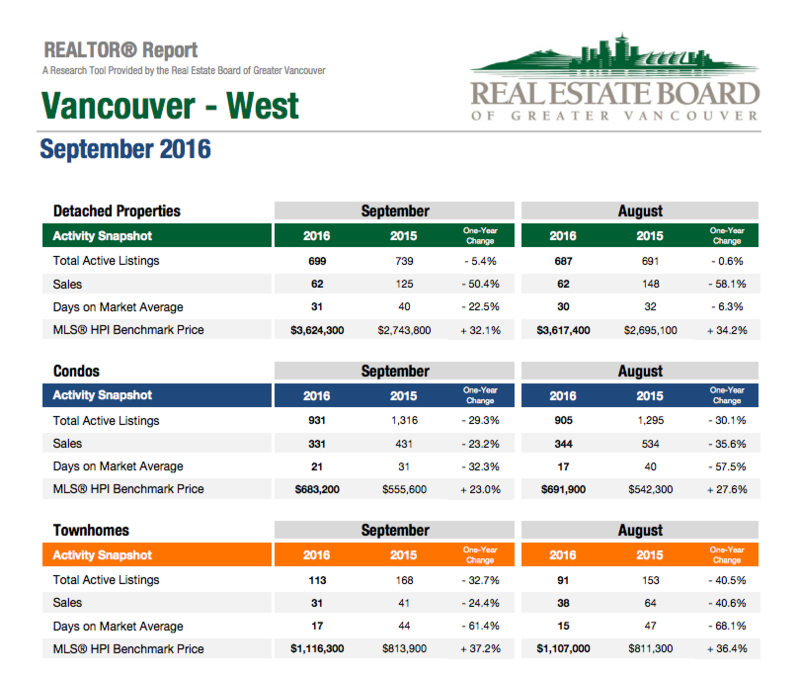 The latest numbers for the September 2016 market are available from the Real Estate Board of Greater Vancouver. 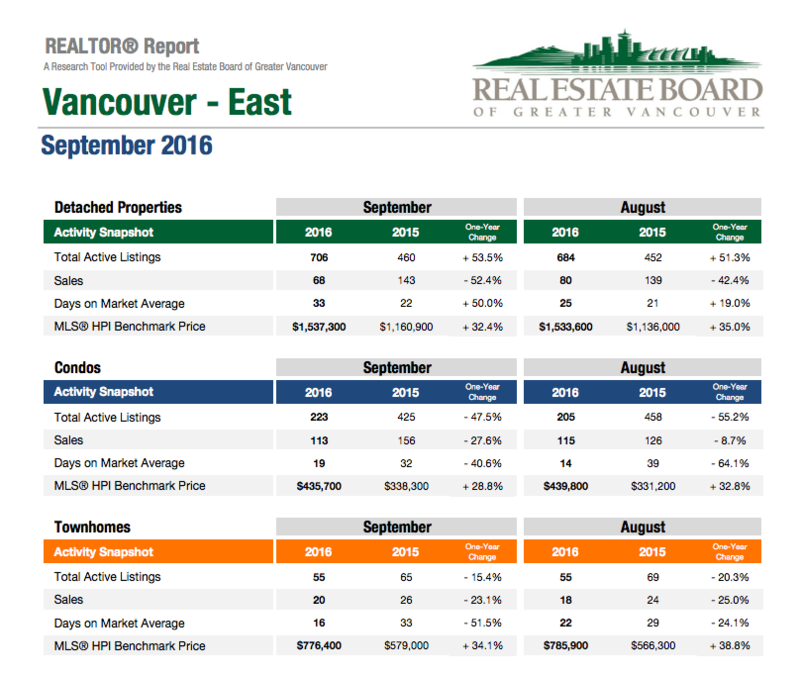 Below are snapshots of the Vancouver East and Vancouver West real estate market statistics. 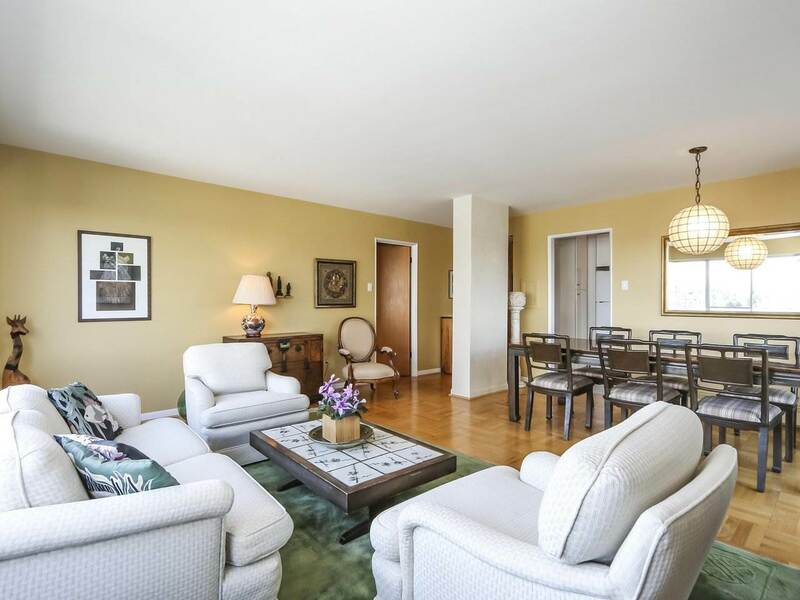 The full reports are available in PDF form for download.